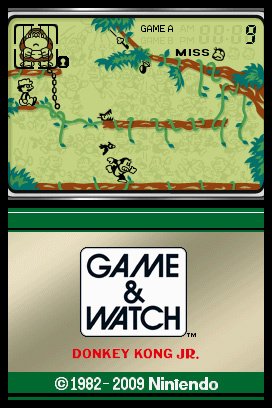 Review Game & Watch Donkey Kong Jr. 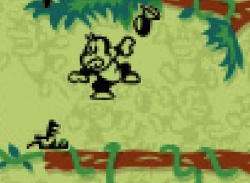 In Donkey Kong Jr., the great ape has been captured by Mario. 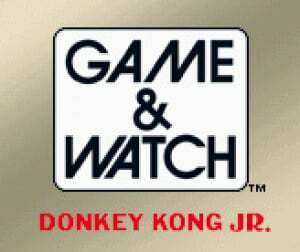 As DK’s son, you must rescue your father by collecting keys to unlock his cage. Jump and climb, dodge crocodiles and birds, and make a well-timed leap to reach the swinging key. 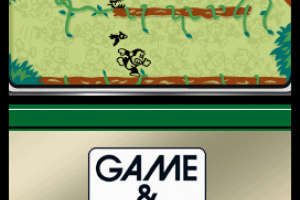 In Game B, enemies move faster, and the time Donkey Kong Jr. can hang onto vines is shorter. That is just chock full of awesome. Instant download if it ever comes to Europe. LOL, love it. May download it for 200 pts. I'll buy it... DSiWare becomes huge!! (I`m writing this comment on my DSi! If I don`t get a point card when it comes out,i`ll BEG for 2000 points! This is one of the most fun Game&watches.. I really hope it's released this Friday. Out of them all i would probably buy this one. Now we need Super Mario Bros G&W for the service! 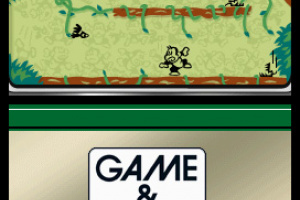 I'm also positive that North America will get this and the other 2 remaining G&W games for April 19, 2010. Fantastic title. Now if Ninty also would release Climber, Fire and Octopus for Dsiware it would just be perfect.